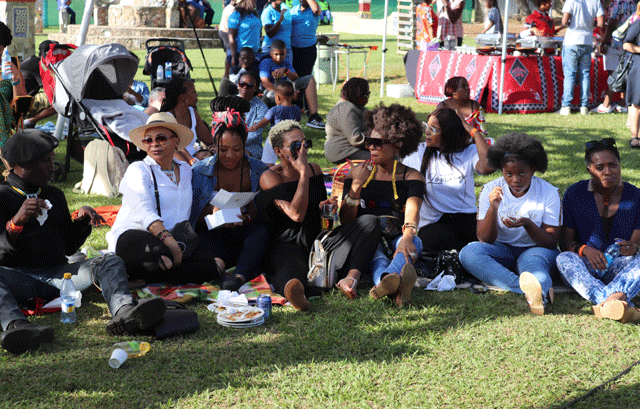 TRADITIONAL cuisines were the order of the day at the Taste Of Eswatini Food and Drinks Festival 2019. Held at the home of entertainment; House on Fire on Saturday, food enthusiasts were indulging in scrumptious dishes served by different outlets and individuals in food business. With over 20 food stalls, the festival brought together the best food and drink producers from across the country. The producers’ stalls, organised in handy market-like rows, provided easy perusing for punters who were overwhelmed by all of the appetising sights and smells. Makhaya chicken and trotters dominated the festival as over five stalls had same dish but in different taste. These included Mzitos’ Kitchen, eMcwembeni, and Cook with Kisto. However, most food lovers were indulging in makhaya and the trotters saved by the different stalls. Compared to last year’s festival, Bakers Corner stall was the most favourite and busiest as they served bakery and savoury dishes such as burgers, fish pies and cheesy meat balls. This year’s festival saw the Nigerian dishes such joll of rice, chaat, dosa, pav bhaji, sandwich, pizza, Kebabs and also subzis, dals, fish and rabbit meat, to mention a few, served as well. And the dessert selection was enormous. IWISA maize meal brand showered food lovers with their maize based drink; Mageu as everyone was granted one or more packets of the drink. There’s no doubt that the Taste of Eswatini Food Festival is a family-friendly event while retaining plenty of interest for adults. The event was organised by Rotary Club of Malkerns Valley and tasting the food was very reasonable as some stalls charged at very low price from E5. “I really like the ambience more than anything. The chilled music, the people. The vibe is really amazing. My favourite stall was the Baker’s Corner. I love their samoosas; they are so fresh and delicious. Well, there’s a room for improvement. I feel next year, the organisers should not allow stalls with same menu/ or cuisines. Everywhere you go, there’s makhaya chicken. But the food is really amazing. My favourite was Mzito’s Kitchen. Can we see more individual food business stalls than the major food outlets we see every day in town?